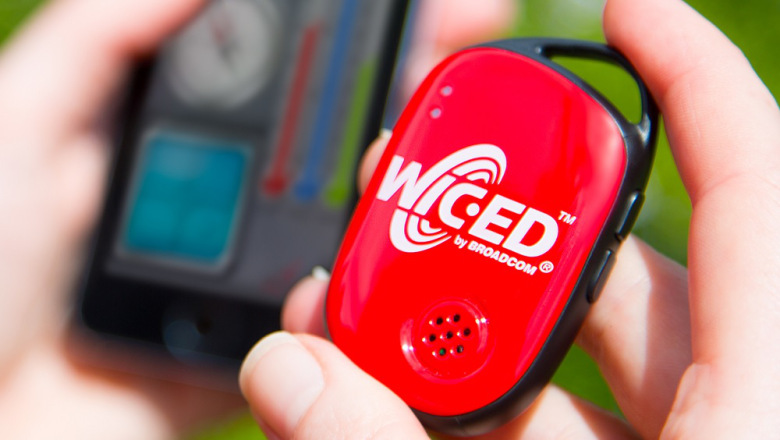 Broadcom just entered the fray of sensor tags with its WICED platform - to compete with the likes of Texas Instruments offering similar sensors (accelerometer, gyroscope, e-compass, barometer, humidity and temperature) but have put a lot of focus on making it easy for third party developers to extend and build applications using its software development kit. It will be available for $20 USD and there is already a free application for users to download and use available on iTunes (iOS) and one is also planned for android (available in October). What is most interesting is the third party SDK they will eventually offer to developers, I would expect this to be a a series of template applications targeting iOS and android to build custom use-cases interfacing with the sensor tags providing contextual knowledge or improve user engagement and experience. It also supports the iBeacon standard which has received a lot of interest lately.